For over 25 years, Just Cruises, Inc. has been a locally owned cruise agency receiving national recognition as a leader in cruise sales. Our cruise counselors are recognized by Cruise Lines International Association. They have earned CLIA's designation of Accredited and Master Cruise Counselors, which acknowledges them as the industry's experts in cruise vacations. By working with us, you can be confident that the cruise vacations we recommend are based on extensive knowledge of the industry and personal experience. 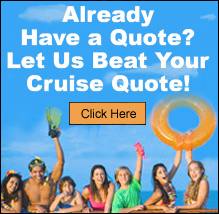 With a focus on customer service and professional cruise consulting, we look forward to exceeding your expectations! Just Cruises, Inc. Is A Virtuoso Member! Virtuoso® is a network of the world’s finest travel agencies with knowledgeable advisors who draw upon first-hand experience to craft the perfect vacation for you. As members of Virtuoso, we have global connections with the best hotels, cruise lines, airlines and tour companies. This means access to exclusive travel offers that you can’t get on your own, along with your best value for the money. That’s the Virtuoso difference. Just Cruises Inc. offers complimentary benefits through Virtuoso, including: escorted pre & post cruise trips, shore excursions, land packages and special events on more than 450 departures per year with luxury cruise lines. Book Your Next Meeting Or Conference At Sea! Ocean breezes, midnight buffets and exotic ports of call don’t usually come to mind for most people heading to a business meeting. From strategy & planning sessions, annual & quarterly reviews, education & training seminars to motivation, team building exercises and corporate retreats at sea, discover the benefits of conducting meetings at sea. What better way to reward your top performers than an incentive cruise.More Info.